Update: Registration is now closed. More than 900 ICUs have registered, and 9000 patients have already been included in the study. 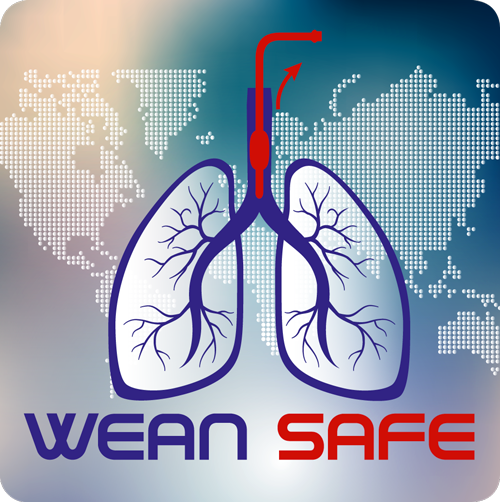 WEAN SAFE (WorldwidE AssessmeNt of Separation of pAtients From ventilatory assistancE) is a multi-centre, prospective, observational, 4-week inception cohort study being carried out by the Acute Respiratory Failure section of ESICM. Weaning represents a challenge for intensivists and patients spend a considerable amount of time in being liberated from mechanical ventilation. While guidelines do exist on the classification of weaning, a recent study has shown that these may not be applicable to all patients. Moreover, different practices exist in regard to weaning procedures. WEAN SAFE will prospectively assess the burden of, management and spectrum of approaches to weaning from ventilation, in patients that require invasive mechanical ventilation for any reason, for a time period of at least 24 hours. What are the current approaches taken to wean patients from invasive mechanical ventilation? What is the frequency of delayed weaning from invasive mechanical ventilation? What are the factors that are used to determine when patients are in the weaning phase? What are the barriers to effective weaning from invasive MV? What factors (patient, institutional, medical practice) contribute to failed attempts to wean from invasive mechanical ventilation? What is the impact of premorbid conditions on weaning from invasive MV? What is the utility of existing classifications for weaning from invasive MV? What is the impact of early versus delayed and/or failed weaning from invasive MV? The study will be performed over a 4 week period between October 1st 2017 and May 31st 2018 in ICUs across the world. Ethics approval may or may not be required depending on what country your ICU is located. IRB approval must be obtained for each centre if required by its local regulations. In most countries, a National coordinator will liaise with participating centres, helping you to obtain IRB approval. No. Participation in the trial is completely voluntary. This study will provide important data on the management and impact of weaning from invasive MV in patients admitted in the ICU. Results from the trial will be published by the WEAN-SAFE nominated Executive Committee. Each participating centre and its lead investigator will be named as collaborator on the published manuscript. In addition, the top 2 recruiting countries (normalised by population), and the top 2 recruiting countries (absolute value) will be invited to participate in manuscript drafting and offered authorship. If you have additional questions, please contact your National Coordinator or research@esicm.org. John Laffey, Departments of Anesthesia and Critical Care Medicine, St. Michael’s Hospital, Toronto, Canada; Anaesthesia, School of Medicine, National University of Ireland Galway, Ireland. 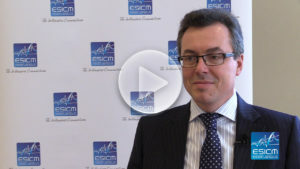 In this icTV interview (March 2018), John Laffey discusses the progress of WEAN SAFE study and encourages centres to get actively involved in this important ESICM Trials Group initiative.